Cassie was the dam of 5 Canadian Champions with her most prolific progeny being Ch. Zesta Ryan's Hope, TT ROMC who to date has sired 27 Canadian Champions. Cassie finished her Championship with a group 1st at 8 years of age. 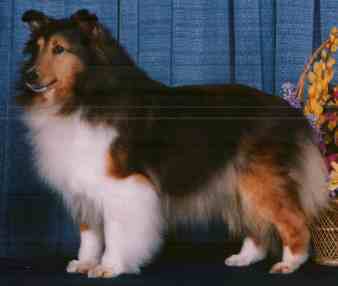 She had received most of her points at Specialty shows with a prestigious Reserve Winners at the 1st Canadian Shetland Sheepdog Association Specialty Show in 1992.